The concept of citizen journalism (also known as "public", "participatory", "democratic", "guerrilla" or "street" journalism) is based upon public citizens "playing an active role in the process of collecting, reporting, analyzing, and disseminating news and information." Similarly, Courtney C. Radsch defines citizen journalism "as an alternative and activist form of newsgathering and reporting that functions outside mainstream media institutions, often as a response to shortcomings in the professional journalistic field, that uses similar journalistic practices but is driven by different objectives and ideals and relies on alternative sources of legitimacy than traditional or mainstream journalism". Jay Rosen proposes a simpler definition: "When the people formerly known as the audience employ the press tools they have in their possession to inform one another." Citizen journalism is not to be confused with community journalism or civic journalism, both of which are practiced by professional journalists. Collaborative journalism is also a separate concept and is the practice of professional and non-professional journalists working together. Similarly, Social Journalism is a separate concept denoting a digital publication with a hybrid of professional and non-professional journalism. Citizen journalism is a specific form of both citizen media and user-generated content. By juxtaposing the term "citizen", with its attendant qualities of civic-mindedness and social responsibility, with that of "journalism", which refers to a particular profession, Courtney C. Radsch argues that this term best describes this particular form of online and digital journalism conducted by amateurs, because it underscores the link between the practice of journalism and its relation to the political and public sphere. New media technology, such as social networking and media-sharing websites, in addition to the increasing prevalence of cellular telephones, have made citizen journalism more accessible to people worldwide. Due to the availability of technology, citizens often can report breaking news more quickly than traditional media reporters. Notable examples of citizen journalism reporting from major world events are, the 2010 Haiti earthquake, the Arab Spring, the Occupy Wall Street movement, the 2013 protests in Turkey, the Euromaidan events in Ukraine, and Syrian Civil War and the 2014 Ferguson unrest. Critics of the phenomenon, including professional journalists, claim that citizen journalism is unregulated, too subjective, amateur, and haphazard in quality and coverage. Citizen journalism, as a form of alternative media, presents a "radical challenge to the professionalized and institutionalized practices of the mainstream media". The accessibility of online media has also enhanced the interest for journalism among youth and many websites, like 'Far and Wide' a publication focusing on travel and international culture, as well as WorldWeekly a news blog covering a range of topics from world politics to science, are founded and run by students. The literature of citizen, alternative, and participatory journalism is most often situated in a democratic context and theorized as a response to corporate news media dominated by an economic logic. Some scholars have sought to extend the study of citizen journalism beyond the Western, developed world, including Sylvia Moretzsohn, Courtney C. Radsch, and Clemencia Rodríguez. Radsch, for example, wrote that "Throughout the Arab world, citizen journalists have emerged as the vanguard of new social movements dedicated to promoting human rights and democratic values." One criticism of the term "citizen journalism" to describe this concept is that the word "citizen" has a conterminous relation to the nation-state. The fact that many millions of people are considered stateless and often, are without citizenship (such as refugees or immigrants without papers) limits the concept to those recognised only by governments. Additionally, the global nature of many participatory media initiatives, such as the Independent Media Center, makes talking of journalism in relation to a particular nation-state largely redundant as its production and dissemination do not recognise national boundaries. Some additional names given to the concept based on this analysis are, "grassroots media," "people's media," or "participatory media." Criticisms have been made against citizen journalism, especially from among professionals in the field. Citizen journalists are often portrayed as unreliable, biased and untrained – as opposed to professionals who have "recognition, paid work, unionized labour and behaviour that is often politically neutral and unaffiliated, at least in the claim if not in the actuality". Citizen journalists gather material by being on the streets. Their tools can be narrowed down to a camera, social media and an instinct to start recording whenever something seems newsworthy or out of order. Much of their knowledge regarding the issues that are raised are obtained through their experience as a part of the community. However, some major news reporting agencies, threatened by the speed with which news is reported and delivered by citizen journalism, have launched campaigns to bring in readers and financial support. For example, Bill Johnson, president of Embarcadero Media, which publishes several northern California newspapers, issued an online statement asking readers to subscribe to local newspapers in order to keep them financially solvent. Johnson put special emphasis on the critical role played by local newspapers, which, he argues, "reflect the values of the residents and businesses, challenge assumptions, and shine a light on our imperfections and aspirations." The idea that every citizen can engage in acts of journalism has a long history in the United States. The contemporary citizen journalist movement emerged after journalists began to question the predictability of their coverage of events such as the 1988 U.S. presidential election. Those journalists became part of the public, or civic, journalism movement, which sought to counter the erosion of trust in the news media and the widespread disillusionment with politics and civic affairs. Initially, discussions of public journalism focused on promoting journalism that was "for the people" by changing the way professional reporters did their work. According to Leonard Witt, however, early public journalism efforts were "often part of 'special projects' that were expensive, time-consuming, and episodic. Too often these projects dealt with an issue and moved on. Professional journalists were driving the discussion. They would have the goal of doing a story on welfare-to-work (or the environment, or traffic problems, or the economy), and then they would recruit a cross-section of citizens and chronicle their points of view. Since not all reporters and editors bought into this form of public journalism, and some outright opposed it, reaching out to the people from the newsroom was never an easy task." By 2003, in fact, the movement seemed to be petering out, with the Pew Center for Civic Journalism closing its doors. [i]n many ways, the definition of "journalist" has now come full circle. When the First Amendment of the U.S. Constitution was adopted, "freedom of the press" referred quite literally to the freedom to publish using a printing press, rather than the freedom of organized entities engaged in the publishing business. The printers of 1775 did not exclusively publish newspapers; instead, in order to survive financially they dedicated most of their efforts printing materials for paying clients. The newspapers and pamphlets of the American Revolutionary era were predominantly partisan and became even more so through the turn of the century. They engaged in little news gathering and instead were predominantly vehicles for opinion. The passage of the term "journalism" into common usage in the 1830s occurred at roughly the same time that newspapers, using high speed rotary steam presses, began mass circulation throughout the eastern United States. Using the printing press, newspapers could distribute exact copies to large numbers of readers at a low incremental cost. In addition, the rapidly increasing demand for advertising for brand-name products fueled the creation of publications subsidized, in large part, by advertising revenue. It was not until the late nineteenth century that the concept of the "press" metamorphized into a description of individuals and companies engaged in an often-competitive commercial media enterprise. In 1999, activists in Seattle created a response to the WTO meeting being held there. These activists understood the only way they could get into the corporate media was by blocking the streets. Then they realized that a scant 60 seconds of coverage would show them being carted off by the police, but without any context to explain why they were protesting. They knew they had to create an alternative media model. Since then, the Indymedia movement has experienced exponential growth, and IMCs have been created in more than 200 cities all over the world. Simultaneously, journalism "by the people" began to flourish, enabled by emerging internet and networking technologies, such as weblogs, chat rooms, message boards, wikis, and mobile computing. A relatively new development is the use of convergent polls, allowing editorials and opinions to be submitted and voted on. Over time, the poll converges on the most broadly accepted editorials and opinions. In South Korea, OhmyNews became popular and commercially successful with the motto, "Every Citizen is a Reporter." Founded by Oh Yeon-ho on February 22, 2000, it has a staff of 40 or more traditional reporters and editors who write about 20% of its content, with the rest coming from other freelance contributors who mostly are ordinary citizens. OhmyNews now has an estimated 50,000 contributors, and has been credited with transforming South Korea's conservative political environment. In 2000, The Raven launched a Web television station aimed at participatory journalism, reporting on events in the Daytona Beach area. In 2001, themeparkinsider.com became the first online publication to win a major journalism award for a feature that was reported and written entirely by readers, earning an Online Journalism Award from the Online News Association and Columbia Graduate School of Journalism for its "Accident Watch" section, where readers tracked injury accidents at theme parks and shared accident prevention tips. During the 2004 U.S. presidential election, both the Democratic and Republican parties issued press credentials to citizen bloggers covering the convention, marking a new level of influence and credibility for nontraditional journalists. Some bloggers also began "watchdogging" the work of conventional journalists, monitoring their work for biases and inaccuracy. A recent trend in citizen journalism has been the emergence of what blogger Jeff Jarvis terms hyperlocal journalism, as online news sites invite contributions from local residents of their subscription areas, who often report on topics that conventional newspapers tend to ignore. "We are the traditional journalism model turned upside down," explains Mary Lou Fulton, the publisher of the Northwest Voice in Bakersfield, California. "Instead of being the gatekeeper, telling people that what's important to them 'isn't news', we're just opening up the gates and letting people come on in. We are a better community newspaper for having thousands of readers who serve as the eyes and ears for the Voice, rather than having everything filtered through the views of a small group of reporters and editors." In June 2009, hundreds of thousands of Iranians took to the streets of Tehran, to protest the election outcome. Citizens took photographs of violent clashes, and images began to leak out to the Western press. Citizen Journalism played a role in the uprisings of the Arab Spring A study of women cyber-activists in several Arab countries found that "a significant proportion of cyberactivism revolves around influencing the mainstream media agenda, as an increasingly symbiotic relationship between citizen and professional journalism has developed throughout the Arab Spring." Occupy protests also were influenced by live interactive media coverage through citizen journalists such as Tim Pool, Jerry Nelson and The Citizen Journals on Facebook. According to Jay Rosen, citizen journalists are "the people formerly known as the audience," who "were on the receiving end of a media system that ran one way, in a broadcasting pattern, with high entry fees and a few firms competing to speak very loudly while the rest of the population listened in isolation from one another— and who today are not in a situation like that at all. ... The people formerly known as the audience are simply the public made realer, less fictional, more able, less predictable." Abraham Zapruder, who filmed the assassination of President John Fitzgerald Kennedy with a home-movie camera, is sometimes presented as an ancestor to citizen journalists. Egyptian citizen Wael Abbas was awarded several international reporting prizes for his blog Misr Digital (Digital Egypt) and a video he publicized of two policemen beating a bus driver helped lead to their conviction. Public Journalism is now being explored via new media, such as the use of mobile telephones. Mobile telephones have the potential to transform reporting and places the power of reporting in the hands of the public. Mobile telephony provides low-cost options for people to set up news operations. During 9/11 many eyewitness accounts of the terrorist attacks on the World Trade Center came from citizen journalists. Images and stories from citizen journalists close to the World Trade Center offered content that played a major role in the story. In 2004, when the 9.1-magnitude underwater earthquake caused a huge tsunami in Banda Aceh Indonesia and across the Indian ocean, a weblog-based virtual network of previously unrelated bloggers emerged that covered the news in real-time, and became a vital source for the traditional media for the first week after the tsunami. A large amount of news footage from many people who experienced the tsunami was widely broadcast,(subscription required) as well as a good deal of "on the scene" citizen reporting and blogger analysis that was subsequently picked up by the major media outlets worldwide. Subsequent to the citizen journalism coverage of the disaster and aftermath, researchers have suggested that citizen journalists may, in fact, play a critical role in the disaster warning system itself, potentially with higher reliability than the networks of tsunami warning equipment based on technology alone which then require interpretation by disinterested third parties. The microblog Twitter played an important role during the 2009 Iranian election protests, after foreign journalists had effectively been "barred from reporting". Twitter delayed scheduled maintenance during the protests that would have shut down coverage in Iran due to the role it played in public communication. Sometimes citizen journalists are, at the same time, bloggers and after some time they often become professional journalists, just as Paweł Rogaliński, a prized Polish blogger and journalist did. Citizen journalists also may be activists within the communities they write about. This has drawn some criticism from traditional media institutions such as The New York Times, which have accused proponents of public journalism of abandoning the traditional goal of objectivity. Many traditional journalists view citizen journalism with some skepticism, believing that only trained journalists can understand the exactitude and ethics involved in reporting news. See, e.g., Nicholas Lemann, Vincent Maher, and Tom Grubisich. An academic paper by Vincent Maher, the head of the New Media Lab at Rhodes University, outlined several weaknesses in the claims made by citizen journalists, in terms of the "three deadly E's", referring to ethics, economics, and epistemology. The paper has been criticized in the press and blogosphere. An analysis by language and linguistics professor, Patricia Bou-Franch, found that some citizen journalists resorted to abuse-sustaining discourses naturalizing violence against women. She found that these discourses were then challenged by others who questioned the gendered ideologies of male violence against women. An article in 2005 by Tom Grubisich reviewed ten new citizen journalism sites and found many of them lacking in quality and content. Grubisich followed up a year later with, "Potemkin Village Redux." He found that the best sites had improved editorially and were even nearing profitability, but only by not expensing editorial costs. Also according to the article, the sites with the weakest editorial content were able to expand aggressively because they had stronger financial resources. Another article published on Pressthink examined Backfence, a citizen journalism site with three initial locations in the D.C. area, which reveals that the site has only attracted limited citizen contributions. The author concludes that, "in fact, clicking through Backfence's pages feels like frontier land -– remote, often lonely, zoned for people but not home to any. The site recently launched for Arlington, Virginia. However, without more settlers, Backfence may wind up creating more ghost towns." David Simon, a former Baltimore Sun reporter and writer-producer of the popular television series, "The Wire," criticized the concept of citizen journalism—claiming that unpaid bloggers who write as a hobby cannot replace trained, professional, seasoned journalists. "I am offended to think that anyone, anywhere believes American institutions as insulated, self-preserving and self-justifying as police departments, school systems, legislatures and chief executives can be held to gathered facts by amateurs pursuing the task without compensation, training or for that matter, sufficient standing to make public officials even care to whom it is they are lying to." An editorial published by The Digital Journalist web magazine expressed a similar position, advocating to abolish the term "citizen journalist", and replacing it with "citizen news gatherer". "Professional journalists cover fires, floods, crime, the legislature, and the White House every day. There is either a fire line or police line, or security, or the Secret Service who allow them to pass upon displaying credentials vetted by the departments or agencies concerned. A citizen journalist, an amateur, will always be on the outside of those lines. Imagine the White House throwing open its gates to admit everybody with a camera phone to a presidential event." While the fact that citizen journalists can report in real time and are not subject to oversight opens them to criticism about the accuracy of their reporting, news stories presented by mainstream media also misreport facts occasionally that are reported correctly by citizen journalists. As low as 32% of the American population have a fair amount of trust in the media. "So-called shield laws, which protect reporters from revealing sources, vary from state to state. On occasion, the protection is dependent on whether the person [who] asserted the claim is in fact a journalist. There are many cases at both the state and federal levels where judges determine just who is/is not a journalist. Cases involving libel often hinge on whether the actor was or was not a member of the "press"." The view stated above does not mean that professional journalists are fully protected by shield laws. In the 1972 Branzburg v. Hayes case the Supreme Court of the United States invalidated the use of the First Amendment as a defense for reporters summoned to testify before a grand jury. In 2005, the reporter's privilege of Judith Miller and Matthew Cooper was rejected by the appellate court. Dan Gillmor, former technology columnist with the San Jose Mercury News, is one of the foremost proponents of citizen journalism, and founded a nonprofit, the Center for Citizen Media, to help promote it. The Canadian Broadcasting Corporation's French-language television network also has organized a weekly public affairs program called, "5 sur 5", which has been organizing and promoting citizen-based journalism since 2001. On the program, viewers submit questions on a wide variety of topics, and they, accompanied by staff journalists, get to interview experts to obtain answers to their questions. Jay Rosen, a journalism professor at New York University, was one of public journalism's earliest proponents. From 1993 to 1997, he directed the Project on Public Life and the Press, funded by the Knight Foundation and housed at NYU. He also currently runs the PressThink weblog. Professor Charles Nesson, William F. Weld Professor of Law at Harvard Law School and the founder of the Berkman Center for Internet & Society, chairs the Advisory Board for Jamaican citizen journalism startup On the Ground News Reports. One of the leading proponents for citizen journalism in Australia is Margo Kingston, author and former political journalist for the Sydney Morning Herald. Kingston launched one of the world's first mainstream citizen journalism platforms, Webdiary, in 2000, well before the New York Times, Washington Post and The Guardian. Kingston resigned from Webdiary in 2005 but the site continues and has been preserved in Pandora, Australia's National Web Archive. After a period of retirement, Kingston returned to citizen journalism in 2013 by co-publishing a new site No Fibs. It was on this site that Kingston published an exclusive story that the Australian Prime Minister, Tony Abbott, had inappropriately claimed expenses for promoting his book. In March 2014, blogger and novelist James Wesley Rawles launched a web site that provides free press credentials for citizen journalists called the Constitution First Amendment Press Association (CFAPA). According to David Sheets of the Society for Professional Journalists, Rawles keeps no records on who gets these credentials. Maurice Ali, a citizen journalist from Canada, founded one of the first international citizen journalist associations called the International Association of Independent Journalists Inc. (IAIJ) in 2003. The association through its President (Maurice Ali) have published studies and articles on citizen journalism, attended and spoken at UNESCO and United Nations events as advocates of citizen journalism worldwide. Ruqia Hassan, was a Syrian citizen journalist who posted under the pseudonym Nisam Ibrahim. Ruquia Hassan was kidnapped and murdered by the Islamic State of Iraq and the Levant (ISIL) in September 2015. ↑ Baase, S. "A Gift of Fire". Prentice Hall, 3rd edition, 2008. ↑ Case, J. A. "Recovering the Radical: Biocybernetic Subversion in Guerrilla Video Primer." Paper presented at the NCA 93rd Annual Convention, Chicago, IL, November 14, 2007. ↑ Tamara Witschge (27 March 2009). "Street journalists versus 'ailing journalists'?". openDemocracy - free thinking for the world. openDemocracy Ltd. Retrieved 21 May 2012. 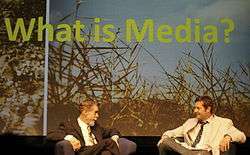 ↑ Bowman, S. and Willis, C. "We Media: How Audiences are Shaping the Future of News and Information." 2003, The Media Center at the American Press Institute. ↑ Radsch, Courtney C. The Revolutions will be Blogged: Cyberactivism and the 4th Estate in Egypt. Doctoral Dissertation, American University, 2013. ↑ Jay Rosen (14 July 2008). "A Most Useful Definition of Citizen Journalism". PressThink. Retrieved 21 May 2012. ↑ Novin, A., Secko, D. (November 25, 2012). "Debate Cited: A First Exploration of a Web Application to Enhance the Production of Science Journalism Students". Journalism Interest Group, CCA/Groupe d'intérêt en journalisme, ACC Conference Proceedings. 2012. Retrieved September 8, 2016. ↑ Atton, Chris. 2003. What is "alternative journalism"? Journalism: Theory, Practice and Criticism 4, no. 3: 267-400. ↑ Flew, Terry. 2005. New media: An introduction. South Melbourne, Vic. ; New York: Oxford University Press. ↑ Mark Glaser (September 27, 2006). "Your Guide to Citizen Journalism". Public Broadcasting Service. Retrieved March 22, 2009. ↑ "About — Far and Wide". Farandwide.org. Retrieved 2013-06-05. ↑ "About". WorldWeekly. Retrieved 2013-12-19. ↑ Lasica, J. D. "What is Participatory Journalism?" 2003-08-07, Online Journalism Review, August 7, 2003. ↑ Moretzsohn, S. 2006. " Citizen journalism" and the myth of redemptive technology. Brazilian Journalism Research 2, no. 2. ↑ Rodríguez, Clemencia. 2001. Fissures in the mediascape : An international study of citizens' media. The Hampton Press Communication Series. Cresskill, N.J.: Hampton Press. ↑ Allan, edited by Stuart; Thorsen, Einar (2009). Citizen journalism : global perspectives (2009 ed.). New York: Peter Lang. p. 121. ISBN 9781433102950. ↑ Bill Johnson. "Support Local Journalism". Embarcadero Media. Retrieved January 8, 2012. ↑ Merritt, D. "News Media must regain vigor, courage." September 29, 2004, PJNet Today. ↑ Dvorkin, J. A. "Media Matters. Can Public Radio Journalism be Re-Invented?" January 27, 2005, National Public Radio. ↑ Meyer, E. P. "Public Journalism and the Problem of Objectivity." 1995, Published on personal website. ↑ "Part One: The Networked Information Economy". Retrieved 2007-01-05. ↑ Papandrea, Mary-Rose. "Citizen Journalism and the Reporter's Privilege." Boston College Law School (Minnesota Law Review, Vol. 91). 2007. Retrieved January 7, 2007. ↑ J.D. Lasica, OJR Senior Editor Posted: 2003-08-07 (2003-08-07). "Online Journalism Review, August 8, 2003". Ojr.org. Retrieved 2013-12-19. ↑ J.D. Lasica, OJR Senior Editor Posted: 2003-08-07 (2003-08-07). "2003 University of Southern California's Online Journalism Review". Ojr.org. Retrieved 2013-12-19. ↑ 2005 Darknet: Hollywood's War Against the Digital Generation, chapter 8. Amazon.com. ISBN 0471683345. ↑ Walker, L. "On Local Sites, Everyone's A Journalist, December 9, 2004, Washington Post, E1. ↑ Glaser, M. "The New Voices: Hyperlocal Citizen Media Sites Want You (to Write)!" November 17, 2004, Online Journalism Review. ↑ Editors Weblog (2011-06-10). "Arab spring invigorates newspapers and journalism in the region". Editors Weblog. Retrieved 2013-06-05. ↑ Editors Weblog (2011-04-13). "Citizen journalism: Al Jazeera's key to successful reporting of Arab uprisings". Editors Weblog. Retrieved 2013-06-05. ↑ Al Jazeera World. "Images of Revolution - Al Jazeera World". Al Jazeera English. Retrieved 2013-06-05. ↑ Courtney C. Radsch (May 2012). "Unveiling the Revolutionaries: Cyberactivism and the Role of Women in the Arab Uprisings.". James A. Baker III Institute for Public Policy, Rice University. Retrieved 2013-01-05. ↑ Rosen, Jay "The People Formerly Known as the Audience," PressThink, June 27, 2006. ↑ 19 décembre 2013 (2007-08-21). "(in french) La mort de JFK dans le viseur de Zapruder". Ecrans.fr. Retrieved 2013-12-19. ↑ Kjellman, Krista (2007-11-06). "Cell Phone Justice; Torture Video Leads to Police Convictions - ABC News". Abcnews.go.com. Retrieved 2013-06-05. ↑ jameselliott92 (1 November 2013). "Citizen Journalism – 9/11 Case Study". ↑ "MetaFilter and Citizen Journalism in the 9/11 Attacks". ucsddigitaljournalism.blogspot.com. UC San Diego students. 26 May 2012. Retrieved 13 September 2014. ↑ Glocer, Tim (2006-03-07). "Old media must embrace the amateur". Financial Times. Retrieved 2013-03-08. ↑ Maher, V. "Citizen Journalism is Dead." 2005, New Media Lab, School of Journalism & Media Studies, Rhodes University, South Africa. ↑ Bou-Franch, Patricia (2013). "Domestic violence and public participation in the media: The case of citizen journalism". Gender and Language. Equinox. 7 (3): 275–302. doi:10.1558/genl.v7i3.275. ↑ Grubisich, T. "Grassroots journalism: Actual content vs. shining ideal." October 6, 2005, USC Annenberg, Online Journalism Review. ↑ Grubisich, T. "Potemkin Village Redux." November 19, 2006, USC Annenberg, Online Journalism Review. ↑ George, E. "Guest Writer Liz George of Baristanet Reviews Backfence.com Seven Months After Launch." November 30, 2005, Pressthink. 1 2 "Let's abolish the term 'Citizen Journalists'". December 2009. Retrieved 2010-08-17. ↑ Inc, Gallup. "Americans' Trust in Mass Media Sinks to New Low". Gallup.com. Retrieved 2016-09-15. ↑ Edward Greenberg. "About Ed". Retrieved 17 August 2010. ↑ "Center for Citizen Media". Center for Citizen Media Blog. Retrieved 2013-06-05. ↑ "On the Ground News Reports (OGNR) the Citizen Powered News Network officially launched at Kingston BETA". Retrieved 2013-09-15. ↑ Kingston, Margo. "NoFibs". nofibs.com.au. Retrieved 9 January 2014. 1 2 "Survivalist starts issuing his own press passes - A Society of Professional Journalists Blog". Net Worked. ↑ "Constitution First Amendment Press Association (CFAPA) Free Press Credentials (Free Press Pass) - An Independent Press Association". ↑ "'Citizen Journalism'" (PDF). UNESCO. February 27, 2013. Retrieved 2 August 2011. ↑ "'WSIS+10 United Nations General Assembly High-Level Meeting'". United Nations. July 2, 2015. Retrieved 2 August 2016. ↑ "'Maurice Ali Speech: International Association of Independent Journalists Inc. WSIS+10-United Nations-July 2, 2015'" (PDF). United Nations. July 2, 2015. Retrieved 2 August 2016. List of Participatory News Media sites at DMOZ.